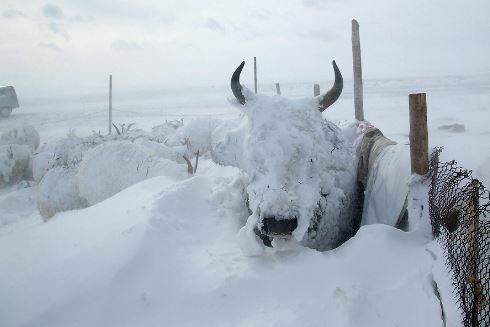 Another tough winter for Mongolian livestock? Some unusually tough winter conditions are already affecting Mongolia as The UB Post reports. Herders have started counting the days until spring approaches in their own traditional way. The coldest time of the year has breezed into Mongolia along with the Winter Solstice, the shortest day of sunlight annually, which [was] marked on December 22 this year. [That] is the second day of the Nine Nines of Winter, a traditional method used by Mongolian herders to determine the date during winter. Based on the lunar calendar, herders believed that winter lasted for 81 days, and which is counted in nine sets of nine days, also known as the “Nine Nines of Winter”. Coming in from the cold? Not before time, and it’s not just the ‘discussion’ that needs shifting. 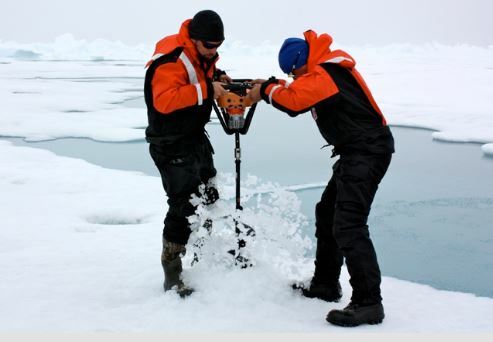 In the world of climate science, the skeptics are coming in from the cold. Researchers who see global warming as something less than a planet-ending calamity believe the incoming Trump administration may allow their views to be developed and heard. This didn’t happen under the Obama administration, which denied that a debate even existed. Now, some scientists say, a more inclusive approach – and the billions of federal dollars that might support it – could be in the offing. “Here’s to hoping the Age of Trump will herald the demise of climate change dogma, and acceptance of a broader range of perspectives in climate science and our policy options,” Georgia Tech scientist Judith Curry wrote this month at her popular Climate Etc. blog. 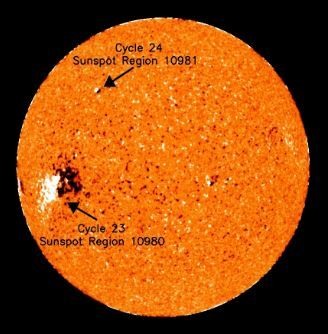 We’ve ignored the early history and jumped in further on in this Space.com article about sunspots and the solar cycle. The astrophysicist author wonders if it will take another 400 years to figure out why the solar cycle (the period between magnetic reversals) is around 11 years on average. Maybe a few Talkshop posts could be helpful, dare we say? What the heck was going on to cause these spots? In the early 1900s, a few key observations pointed astronomers and physicists in the right direction. For one, sunspot activity seemed to cycle every 11 years, from lots of sunspots to just a few-sunspots and back to lots of sunspots. The cycle was even apparent during the weird “Maunder Minimum,” when there was very little activity in the 1600s (the term was coined much later). Then there’s the temperature. Sunspots look dark, but that’s only in comparison to the blazing solar surface around them; they’re cooler than the rest of the sun, but still ragingly hot in their own right. So where does this obvious nonsense come from? Because such realities would ruin their story perhaps? Either that or they are not up to their jobs. Maybe they aren’t up to the job anyway if they are having to resort to distortion of facts. Apparently the onshore windmills in Flandres have a total capacity of 920 MW, which is only slightly below the capacity of (some of) our nuclear turbines (at somewhat above 1,000 MW). It is now two weeks since Peter Lilley’s study on the cost of the Climate Change Act was published. 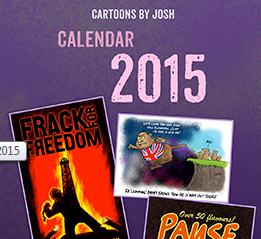 As yet there has still been no pushback from the government, or their lackeys at the Committee on Climate Change. There has, however, been a rambling, incoherent rant from the Grantham Institute’s Bob Ward in response. More on that in a moment. First though, a quick rehash of Lilley’s findings. How do you dismantle an agenda? We’re about to find out in the case of US climate rules and regulations that appeared in the Obama years. The Clean Power Plan looks doomed. 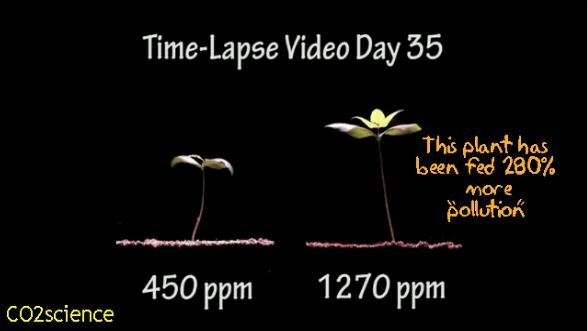 Maybe CO2 won’t be called a pollutant any more? As soon as President-elect Donald Trump assumes office Jan. 20, Republican attorneys general who have spent the past eight years battling the Obama administration’s climate change agenda will have a new role: supporting the Republican president’s complex legal effort to roll back that agenda, reports The Washington Post. By contrast, states with Democratic leadership — such as California, where Gov. Jerry Brown has promised all-out war against Mr. Trump on global warming — will go from being environmental partners with the federal government to legal aggressors on their own. And the winner is…a loser. Such is the world of climate obsessives. I did wonder if it was worth running this years competition, because it seemed to me there would be little or nothing in the way of any excitement occurring, since there only appeared to be one horse in the race, and he was already galloping over the horizon before it had even began. The rest would be plodding along miles behind him, morosely contemplating not so much a race track ahead of them but a road sloping down to end inexorably at the gates of the knacker’s yard, out of which they would be reemerging as either glue or inside tins of guaranteed organic dog food. No it’s not April 1st and we’re not making it up. It’s Christmas but the climate propaganda machine has to keep churning out the pop stories, however absurd they may sound. 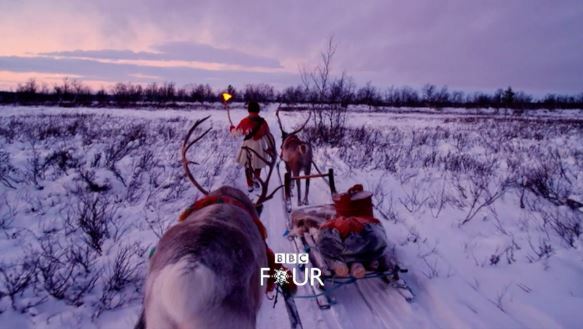 Reindeer play an important role in assisting Santa, but it’s their vital work in protecting the North Pole from climate change which scientists are keen to highlight this Christmas, says The Daily Telegraph. Dasher, Dancer, Prancer, Vixen and the rest of the gang’s heavy grazing helps make the surface of the North Pole more reflective – also known as “albedo”. “Our theory was that heavy grazing by reindeer increases summer albedo, through a reduction in shrub height, abundance and leaf area index (LAI),” she said. Once again weather shows its natural variability. 20 Dec 2016 – Heavy snowfall in Saudi Arabia – Such snow not seen for many years. Temperature below zero. Five million Euros to power a few street lights sounds expensive. What effect traffic has on the panels remains to be seen, but dirt could be an issue. 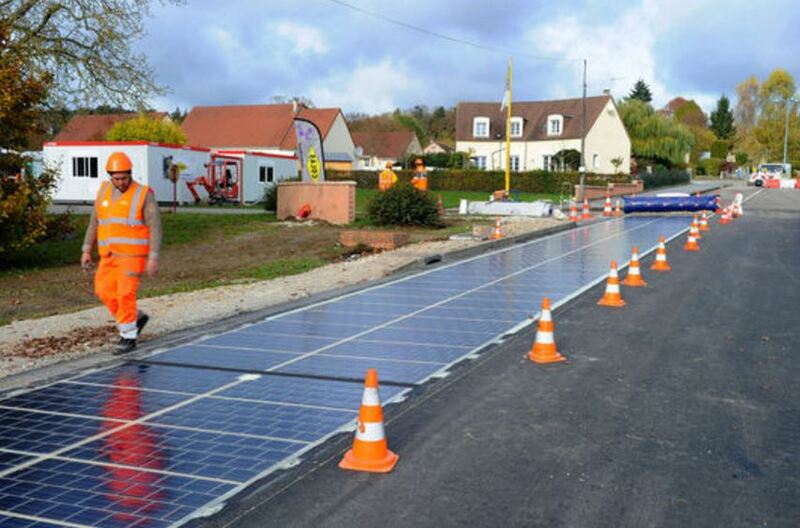 A solar panel road, claimed to be the world’s first, has opened in France, reports the Daily Mail Online. The 0.6 miles (1km) stretch of road in the small Normandy village of Tourouvre-au-Perche is paved with 2,880 solar panels, which convert energy from the sun into electricity. It is hoped that the the road could eventually provide enough energy to power the small village’s street lights. The ‘Wattway’ road features 2,800 sq m (9,186 sq ft) of panels and was showcased today at an inauguration ceremony attended by French minister for Ecology, Sustainable Development and Energy Ségolène Royal. The road is expected to produce 280 MWh of electricity a year. The climate alarm industry could be heading into a recession next year – unlike the polar bears they’re so fond of wailing about. If 10 years of summer sea ice levels expected to kill 2/3 of the world’s polar bears by 2050 hasn’t had an impact, why would anyone expect a bit less summer icewill do the job? The more the polar bears fail to die in droves, the shriller the message from activist polar bear researchers – via willing media megaphones – that the great death of the bears will soon be upon us, just you wait and see! Some big media guns were out this past week spreading the prophesy of doom fed to them by the polar bear researchers most committed to the “threatened with extinction” narrative: The New York Times, The Atlantic, The Guardian. The desperation is becoming palpable as the public catches on to their epic failure. Aliens might be the ‘Hollywood solution’ but those tend to be fictional. On the other hand, plausible explanations are elusive. Astronomers may have to think a little harder to solve the mystery of Boyajian’s star reports Space.com. 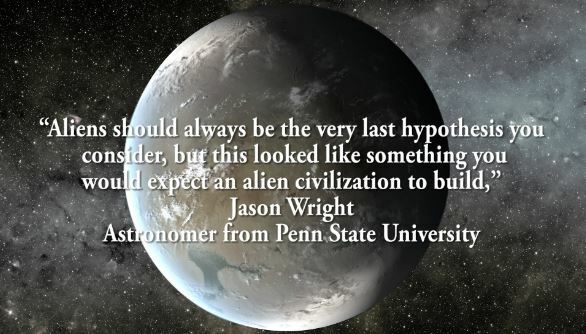 In September 2015, Yale University’s Tabetha Boyajian and her colleagues reported that the star KIC 8462852 has dimmed dramatically multiple times over the past seven years, once by an astounding 22 percent. NASA’s planet-hunting Kepler space telescope spotted these dimming events. But the brightness dips of “Boyajian’s star,” as it has come to be known, were far too significant to be caused by an orbiting planet, so astronomers began thinking of alternative explanations. Researchers have come up with many possible causes for the dimming, including a swarm of broken-apart comet fragments, variability in the activity of the star itself, a cloud of some sort in the interstellar medium between Kepler and Boyajian’s star, and, most famously, an orbiting “megastructure” built by an alien civilization to collect stellar energy. This snowfall has even arrived before the Northern hemisphere winter solstice. 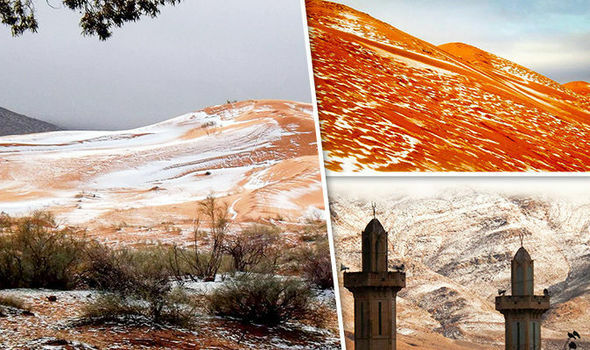 This might not be the first place you’d expect to find a festive snowy scene, but incredible images show the Sahara desert looking particularly chilly. It is just the second time in living memory that snow has fallen, with the last occasion being in February 1979, reports Sott.net. The pictures were taken by amateur photographer Karim Bouchetata in the small Saharan desert town of Ain Sefra, Algeria, yesterday afternoon. 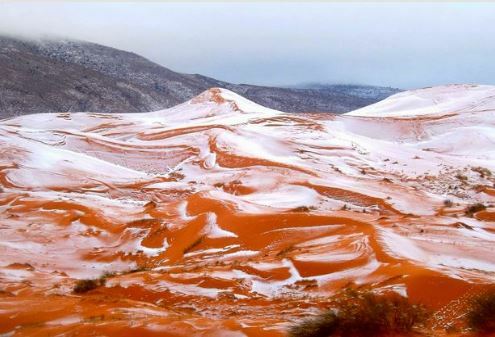 He captured the amazing moment snow fell on the red sand dunes in the world’s largest hot desert. This time the snow stayed for a day in the town, which is around 1,000 metres above sea level and surrounded by the Atlas Mountains. Now these ‘campaigners’ know how wind turbine protesters feel when they get overruled in their neighbourhoods. 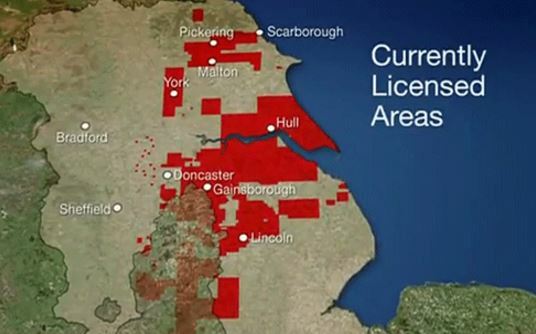 Anti-fracking campaigners have lost their legal challenge to a decision to allow fracking to take place in North Yorkshire reports BBC News. Third Energy was granted planning permission to extract shale gas at Kirby Misperton in Ryedale in May. Friends of the Earth and residents had challenged North Yorkshire County Council’s decision in the High Court. Mrs Justice Lang ruled the council had acted lawfully. Penalising coal and gas generation has led to reliance in emergency on things like diesel generators, hardly what was intended by so-called ‘green’ policies as MPs warn the UK grid system is edging ever nearer to breaking point. Words like ‘dangerous’ and ‘desperate’ are being used. Electricity bills could go up by £30 each year by 2020 and power “rationed” due to “mismanagement” of the UK’s electricity networks and the increasing cost of emergency supplies, MPs have warned. 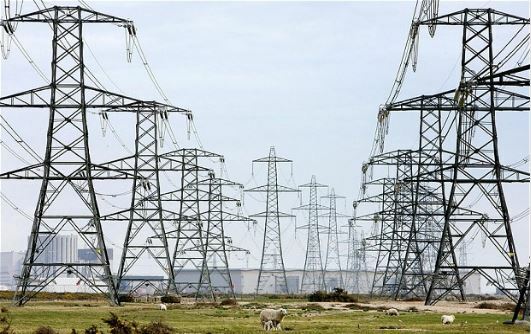 The British Infrastructure Group, led by former Conservative minister Grant Shapps, warned lights could go out across the country next winter because there is not enough spare capacity in the system to cope with higher demand. There is just 0.1 per cent spare electricity in the current system, a dangerously small amount of headroom in case of emergencies over the winter months, the report warned. Whatever the economics of this plan may be, it highlights the fact that lack of storage capacity is one of the serious drawbacks of renewable energy. Phys.org reporting. 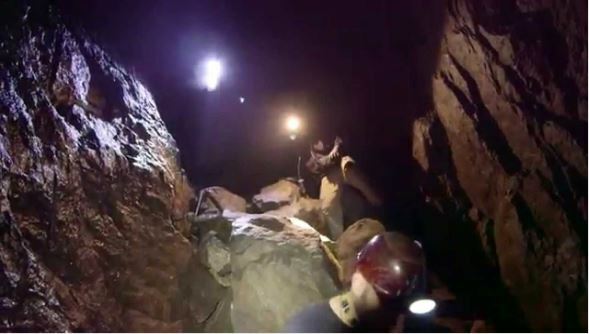 Some look at an abandoned, centuries-old iron mine in New York’s Adirondacks and see a relic. An ambitious group of engineers sees the shafts in Mineville as a new way to provide a steady flow of electricity in a growing market for renewable energy. They are pitching a plan to circulate some of the millions of gallons of groundwater that have flooded the mine shafts over the years to power an array of 100 hydroelectric turbines a half-mile underground. They envision the operation as a solution for solar and wind power producers, who need ways to ensure an uninterrupted flow of energy when the sun isn’t shining and winds are still. As soon as the Mail Online report of this historic site said there were 127 stones, an idea occurred. In the lunar Metonic cycle of ~19 years there are 254 lunar orbits (= sidereal months) of the Earth, which is 127 x 2. If this has already been suggested somewhere, I’m not aware of it! A megalithic stone circle in Brazil hints that the indigenous people of the Amazon may have been more sophisticated than archaeologists first thought. 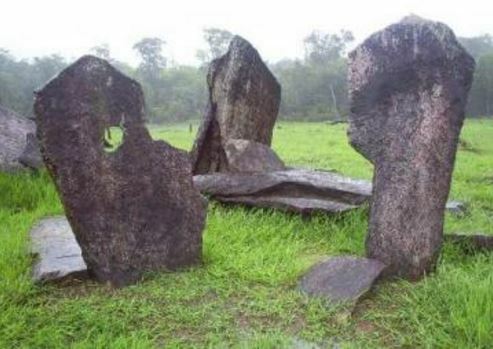 Rego Grande, known as the ‘Amazon Stonehenge’ after the famous prehistoric monument in Wiltshire, is located in Amapá state, near the city of Calçoene. Experts say the unusual stone arrangement may have been used as a place of worship as well as for astronomical observations related to crop cycles. This is from US CLIVAR. 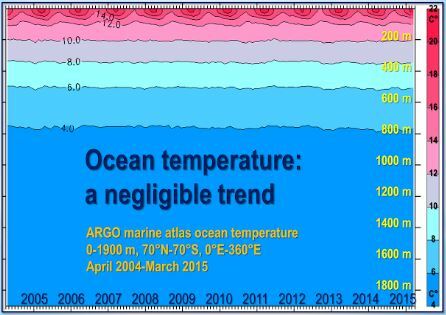 If their graph is to be believed the ocean heat content went up by a factor of about 6 between 1980 and 2012. The title of their paper is ‘The global warming hiatus: Slowdown or redistribution? (Earth’s Future)’. Of course ‘missing heat hiding in the ocean’ is not exactly a new claim from climate alarm theorists. Atmospheric greenhouse gases have continued their steady increase in the new century. Logically, one would expect that global mean surface temperature (GMST) would also continue to increase in the same fashion as experienced in the latter decades of the 20th century. However, between 1998 and 2013 GMST actually plateaued with much smaller increases than the average over the last 60 years and labeled the “global warming hiatus.” The fact that this slowdown in GMST increase was not predicted by most climate models has led some to question the steady increase in heat predicted under increased greenhouse gas conditions. In which the law catches up with one of the wind turbine industry’s many excesses, not before time. The Irish High Court has just handed down a decision holding German wind turbine manufacturer, Enercon liable in noise nuisance in a claim pursued by 7 families whose lives and livelihoods have been thoroughly and mercilessly destroyed by incessant turbine generated low-frequency noise and infrasound. A report on the decision follows below, but first we’ll start where it all started back in 2013. 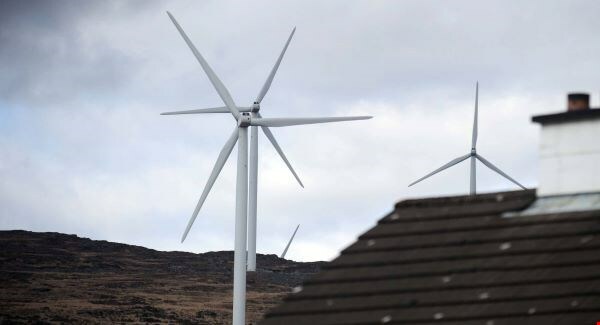 A group of families in a north Cork village are suing a wind farm operator in a landmark case, claiming the huge turbines are adversely affecting their health. The seven families from Banteer claim they have been severely impacted, particularly through noise pollution, since the turbines began operating in Nov 2011.